We have never met such a humble man ever in our life. Kailash Kher is a true inspiration for those, who are clueless about their bright future. 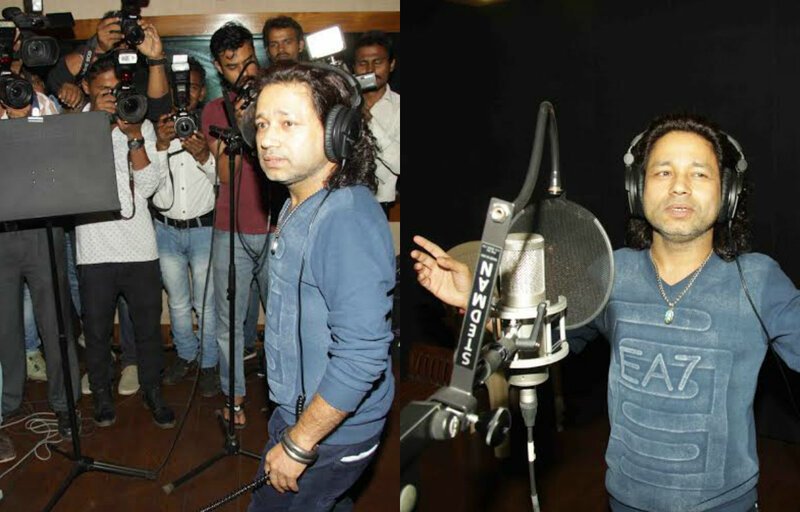 Kailash Kher never thought that he would rise up from the Railway Station of Andheri and become a big name in the Bollywood industry. Do you remember the soulful song, ‘Allah Ke Bande’? You probably do not remember that it was from a particular film but the song is still fresh in our hearts. It is such a beautiful song and what really made it beautiful was Kailash Kher’s soulful voice. He hits the high notes and it straight touches the deepest part of our heart. Kailash Kher remembers his days at the platform of Andheri Railway Station. He lived on the platform and the chaiwala was a good friend of his. Every time he passes by the station, he says a little prayer and thanks God for everything that he has got! His journey started as a jingle singer for the jewellery brand Nakshatra diamonds. The first gig did not get him a lot of recognition but he did get 5,000 rupees which was enough for him to survive. He has seen the poverty in true sense and so, he respects where he came from and never forgets his roots. Nobody was behind him nor did he know any god father from the industry. He was glad that he was getting work and he was visiting studios that he would never dream of seeing! It was his song from Waisa Bhi Hota Hai that changed his life. The movie was not successful but the song became a sensation. It was all over television and people started recognizing him. He was a part of the song video as well. He has been criticized by many people for having a raw voice which does not suit a hero. Where did he come from? Why did he choose music? He is originally from Meerut and in the hope for making it big as a singer, he ran away to Delhi to search for a guru. He learnt music and singing from 15 different gurus but patience did not last very long and he went to Mumbai. It is not an easy task to make it big in Bollywood! Life was not easy for him and he also tried to commit suicide once. In the beginning, he sung for many commercials like Pepsi, Citibank, IPL, and Coca Cola. Till now, the humble man has sung more than 700 songs. You will be amazed to know that he has sung in different languages like Odiya, Punjabi, Marathi, Bengali, Sindhi and more. His voice has been used for the Swach Bharat anthem as well. For us, it was his album song called Teri Deewani which won our hearts. Big names like A.R Rahman, Ismail Darbaar and Aamir Khan have appreciated him. His voice has the fragrance of the Indian soil and we are glad to have him in the industry. His voice is music to our ears and we are waiting to hear more of him in the coming years.